The first major survey of work by the wonderful illustrator/philosopher/designer Maira Kalman is opening at The Jewish Museum in New York March 11. You can read more about it at Pinball Publishing's blog, Bangback; in this article at Dwell; and at the Museum's website. 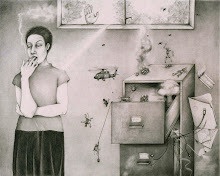 Self-Portrait with Pete, 2004-2005, via Dwell. 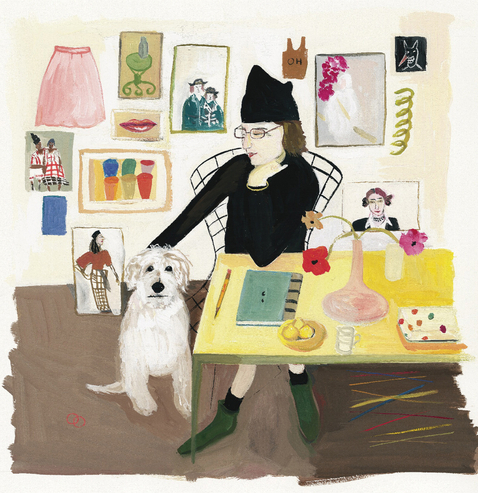 I'd never come across Maira Kalman before so I must thank you for introducing me. She is a person after my own heart...I shall be discovering further!